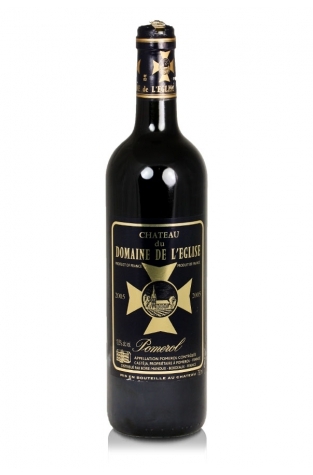 The 2005 from Domaine de l’Eglise is a good, fleshy Pomerol with a dense ruby/purple color, loads of mulberry and black cherry fruit, and hints of licorice and forest floor. Medium to full-bodied, soft, and about 2-4 years from full maturity, this wine should easily last 15 or more years. Licorice, coffee and chocolate covered plums open to a round, soft, spicy, cocoa and plum filled, supple, round, Pomerol that is already starting to drink well. This is the oldest documented estate on the plateau of Pomerol dating back to 1589 when it was, unsurprisingly given its name, the property of the church. Merlot dominates the blend in these wines and adds to the rounded, ripe opulence of this appellation's best wines.